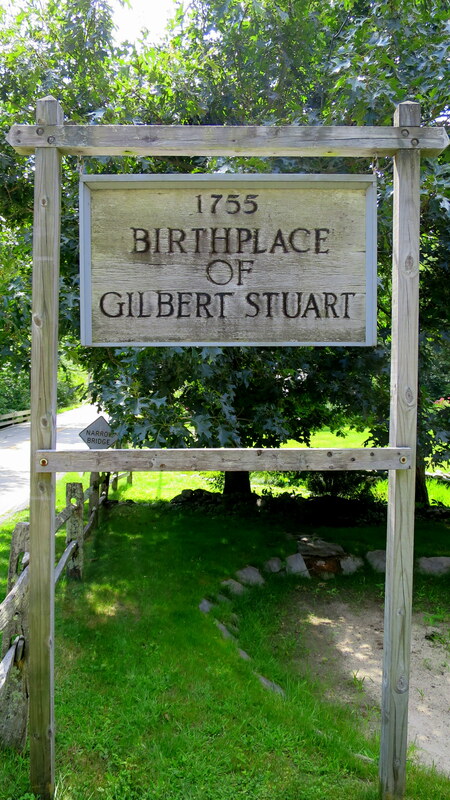 The Gilbert Stuart Museum is famous for being the birthplace of American painter Gilbert Stuart (whom you may be familiar with from his portrait of George Washington that graces our dollar bills), but I visited in order to see the two mills on the property on recommendation from the docent at the Old Town Mill in New London. 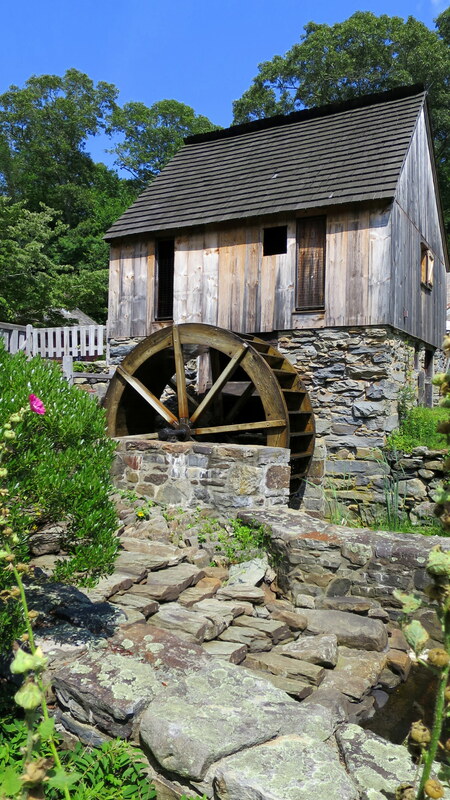 While waiting for the tour I strolled around the immaculately maintained grounds and was able to view the exteriors of the Hammond Gristmill and the Stuart home. 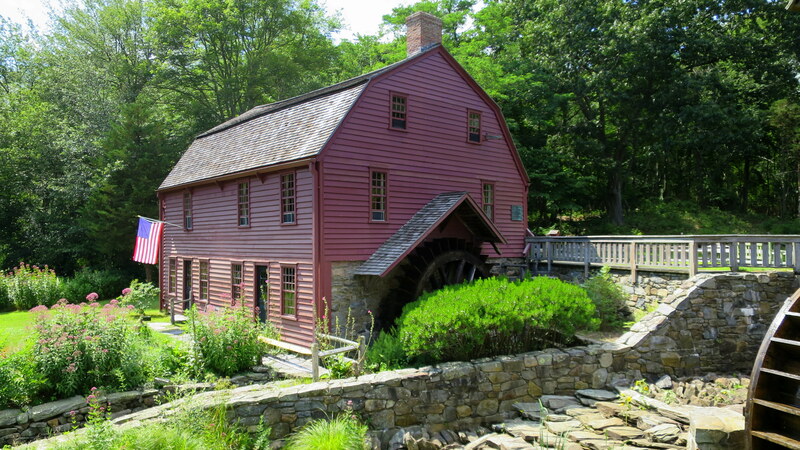 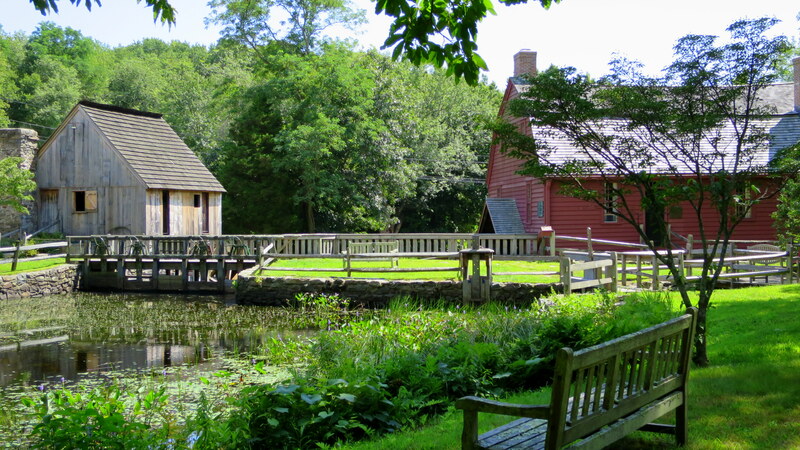 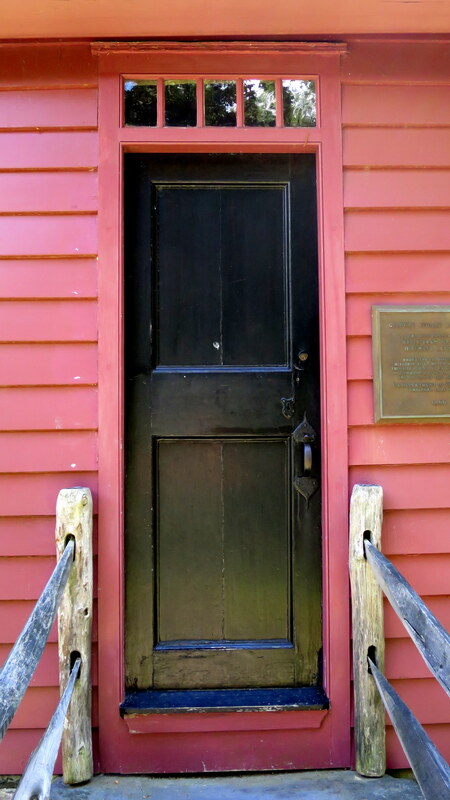 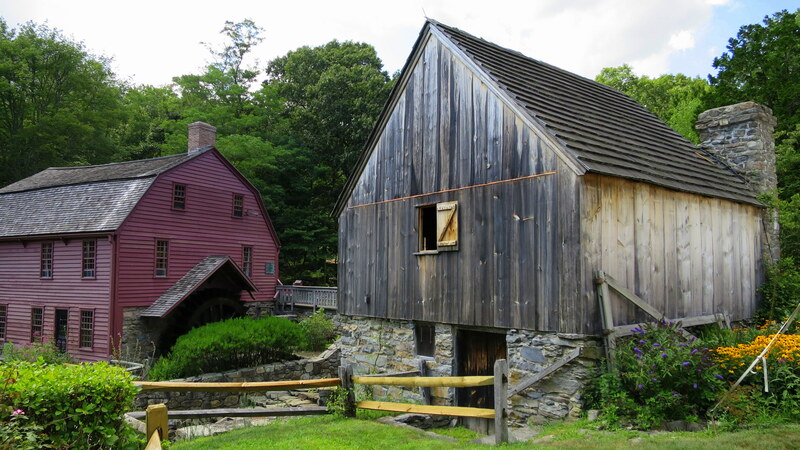 The former, built in 1757, was infamous for grinding local corn into the finest white flint cornmeal that is used in Rhode Island johnnycakes, and the latter, constructed in 1750, contains in the basement the first snuff mill in the American colonies. 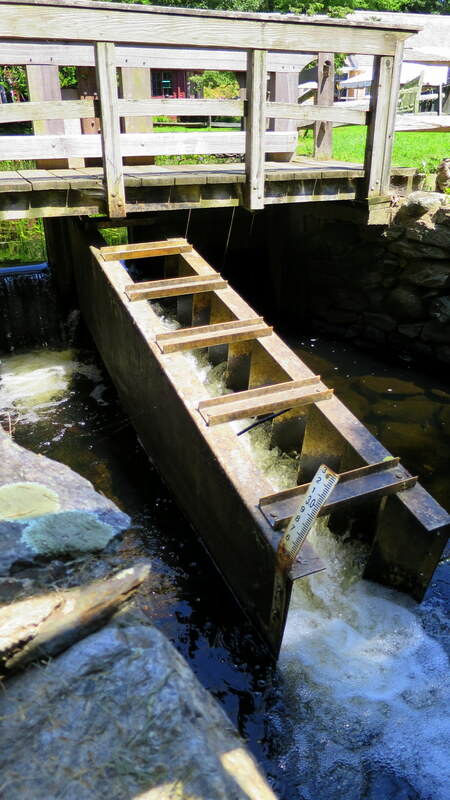 I also examined the elaborate dam that fed the mill wheels from the pond and checked out the fish ladder that is in place for the red river herring. 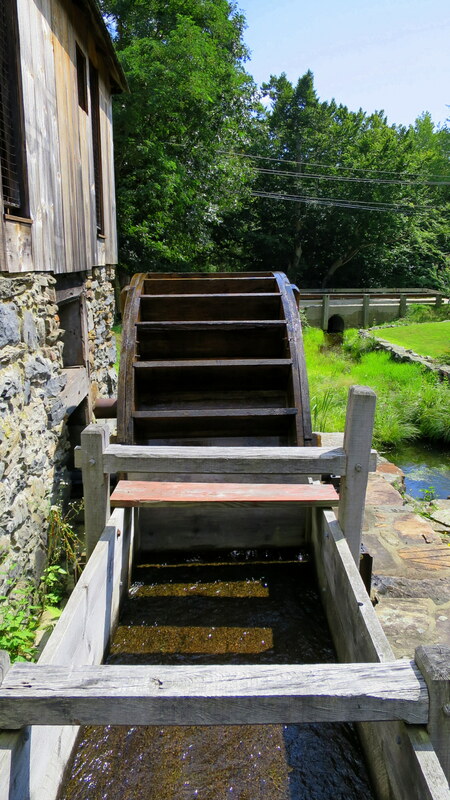 The tour brought us inside both the gristmill and the house though no photography was permitted inside the second structure. 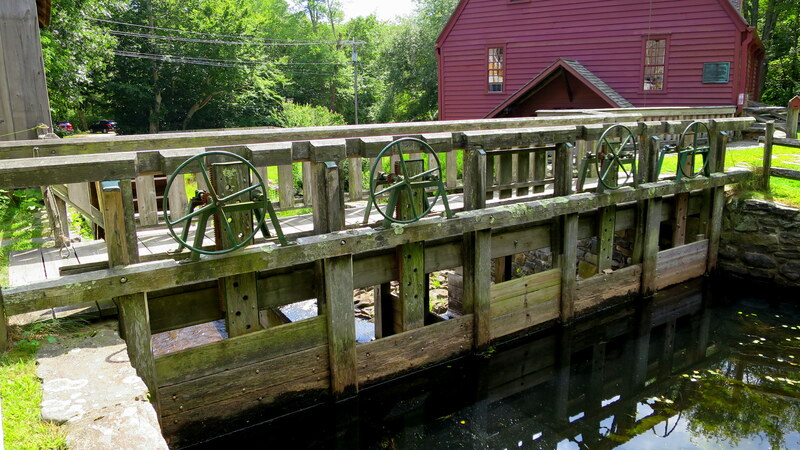 I wished I had more time to explore the Hammond Mill and preferably see a demonstration of corn grinding (which they occasionally do) but it was still very much worth the visit. 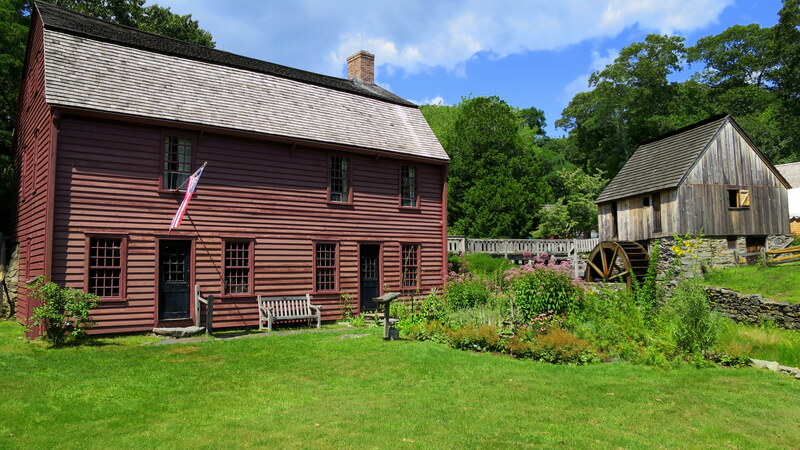 The Gilbert Stuart house was interesting for its recreation of 18th century life and the biographical information of the artist, but it was the small snuff mill in the basement that I would have liked to spend more time looking at. 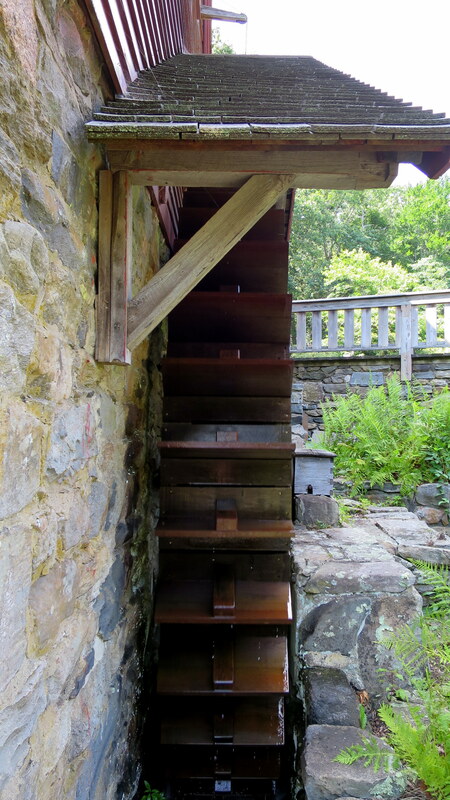 Because grinding snuff was more delicate and required less power, this mill used the undershot wheel and some different mechanisms, of which I would like to know more about. 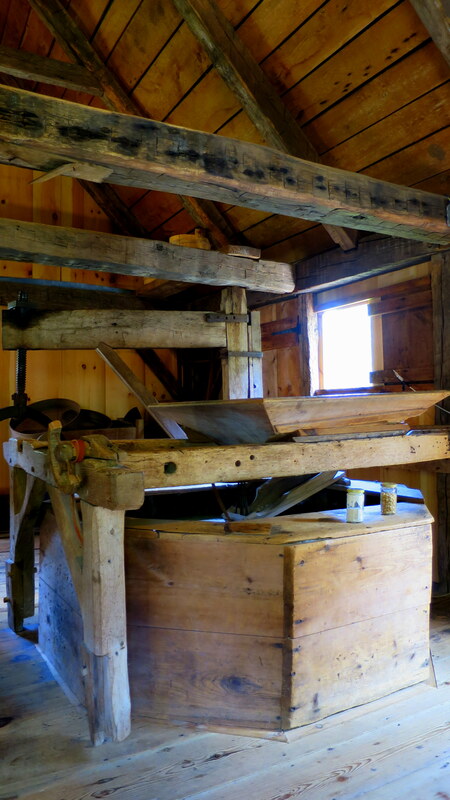 Still, it was an excellent visit and my first time seeing a snuff mill which was exciting.